Vivendi pay TV arm Canal+ is to acquire Vincent Bollore’s free-to-air television business for up to €465 million. It says the purchase will help it defend its business against the arrival of Netflix, Apple and Google. Canal+ will intially take a 60 per cent stake in Bollore Group’s TV business, which owns the Direct 8 and Direct Star channels, in exchange for €279 million in Vivendi shares. Canal+ will take over the l management and TV sales of the channels, and has an option in three years to buy the remaining 40 per cent stake for €186 million in cash. “This partnership is intended to prepare the Canal+ Group for the arrival in the television sector of new operators such as Apple, Netflix, Google, etc,” said Bertrand Meheut, the head of Canal+ Group. “The company’s entry into the free television market will enable it to strengthen its capacity to produce distinctive content and enhance its editorial lines with high-quality programmes, while using all available operating media to exploit those programmes’’. Canal+ tried to launch its own FTA channels but got bogged down in European regulations. Taking over Bollore’s channels will mean Vivendi will own more than the maximum seven terrestrial frequencies that French law allows. Meheut said that the company will have to return “one, perhaps two” frequency bands. 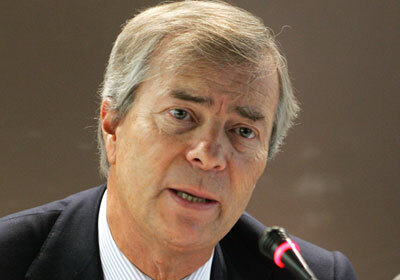 Vincent Bollore is also the largest shareholder in advertising group Havas and media planning and buying network Aegis.